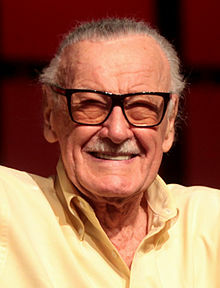 ^ Stan Lee過世享壽95歲 漫威之父催生鋼鐵人蜘蛛人. [2018-11-13] （中文（台灣）‎）. ^ 斯坦·李不该叫“漫威之父”？他足够伟大，不需要一个虚构的头衔. new.qq.com. [2018-11-20] （中文（中国大陆）‎）. ^ Lowry, Brian. Stan Lee, Marvel Comicbook Legend, Dies at 95. Variety. 2018-11-12 [2018-11-12]. ^ Barnes, Mike. Stan Lee, Marvel Comics' Real-Life Superhero, Dies at 95. The Hollywood Reporter. 2018-11-12 [2018-11-12]. ^ Joan Lee, Wife of Marvel Comics Legend Stan Lee, Dies at 95.HollywoodReporter.2017-07-06.[2017-07-07]. McLaughlin, Jeff (编). Stan Lee: Conversations. Jackson, Mississippi: University Press of Mississippi. 2007. ISBN 978-1-57806-985-9. Ro, Ronin. Tales to Astonish: Jack Kirby, Stan Lee, and the American Comic Book Revolution. Bloomsbury USA. 2005 [first published 2004]. ISBN 978-1-58234-566-6. Jordan, Raphael; Spurgeon, Tom. 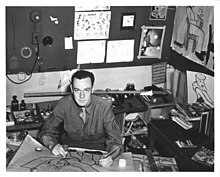 Stan Lee and the Rise and Fall of the American Comic Book. Chicago Review Press. 2003. ISBN 978-1-55652-506-3.